With the latest accusations in the press and the upcoming CAG report in Parliament, the Rafale issue has taken off again. The much-awaited report by the Comptroller and Auditor General (CAG) on the Rafale deal will be tabled and debated in Parliament this Budget session, giving the controversy fresh legs. Meanwhile, The Hindu’s latest article on the Rafale agreement (February 8, 2019) claims that the Ministry of Defence (MoD) officials, in a hand-written note (apparently cropped by The Hindu, seemingly altering its meaning) asked officials in the Prime Minister's Office (PMO) not to interfere with ongoing negotiations with Dassault. It is precisely such dilatory tactics, however, by a section of MoD officials and the arms lobby — long used in defence deals with kickbacks — that have eroded India’s defence capability over the years. This clearly compelled the PMO to fast-track the Rafale agreement to overcome stalling tactics since, in a government-to-government deal, arms dealers and their mentors are cut out. The main agent provocateur in the Rafale deal has been Congress President Rahul Gandhi. His epithet 'chowkidar chor hai', directed at Prime Minister Narendra Modi, is based on the belief that if a lie is repeated often enough, it becomes the truth. 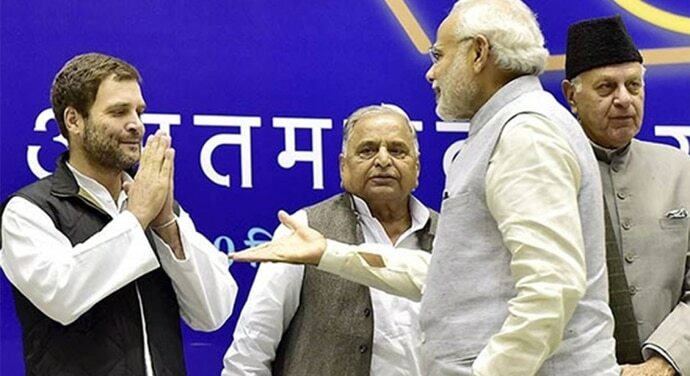 Rahul has been fallacious on three key issues concerning the Rafale deal though — price, Hindustan Aeronautics Ltd (HAL) and Anil Ambani. Consider the facts on each. Rahul says India overpaid for the 36 Rafale fighter jets to be manufactured in France and delivered to the Indian Air Force (IAF) in flyaway condition. The India-France Inter-Governmental Agreement (IGA) was finalised at Rs 59,000 crore for 36 fully loaded fighters — that works out to Rs 1,640 crore for each weaponised flyaway Rafale jet with 13 India-specific enhancements. Negotiations on the final price of each fully loaded Rafale jet were thus aborted by the UPA regime before a price could be agreed upon. Is there a template to compare the cost of a fully loaded and weaponised Rafale fighter jet at contemporary prices? The US dollar traded at around Rs 64 in May 2015. Thus, the price the Qatar government negotiated for 24 Rafale jets ($7.02 billion) was equivalent to Rs 45,000 crore. That works out to Rs 1,875 crore for each of the 24 Rafale jets — Rs 235 crore more per Rafale than the Indian government is paying during the same time period for similarly weaponised jets. The price paid by the Egyptian government for 24 Rafales (£5.2 billion) was equivalent, at the February 2015 exchange rate of Rs 71 per euro, to Rs 37,000 crore — or Rs 1,542 crore per Rafale jet. Like the Qatari Air Force and IAF orders, the Egyptians got fully loaded Rafales but with fewer specific enhancements, hence the slightly lower cost of Rs 98 crore per jet compared to Rs 1,640 crore India is paying and Rs 1,875 crore Qatar is paying. Why then does Rahul Gandhi allege that India overpaid for the 36 Rafales and bandy about the irrelevant figure of Rs 650 crore for a bare-bones Rafale? It can’t be ignorance. The Al Jazeera and France24 reports are in the public domain. But knowledge of the truth has never come in the way of anyone determined to conceal it. When the UPA government was negotiating a deal from 2007 onwards to buy 126 Rafales (which it suddenly aborted in 2012), Dassault had made it clear that manufacturing Rafale fighter jets in partnership with HAL would not be feasible because it couldn’t guarantee the quality of the 108 Rafales HAL would make, following delivery of the 18 initial flyaway Rafales made in France. The IAF has long been critical of HAL’s ability to deliver fighter jets on time and to strict specifications. The tragic crash of the Mirage 2000 trainer jet, upgraded by HAL, at the HAL-run airport in Bengaluru on February 1, 2019, is a reminder of the consequences of cynically using HAL to attack the government’s Rafale deal. Rahul asked in Parliament why the initial order for 126 Rafales had been cut to 36 — it hasn’t. The request for proposal (RFQ) for the remaining 90 Rafale jets has been prepared. These will be manufactured in India in a joint venture with Dassault. 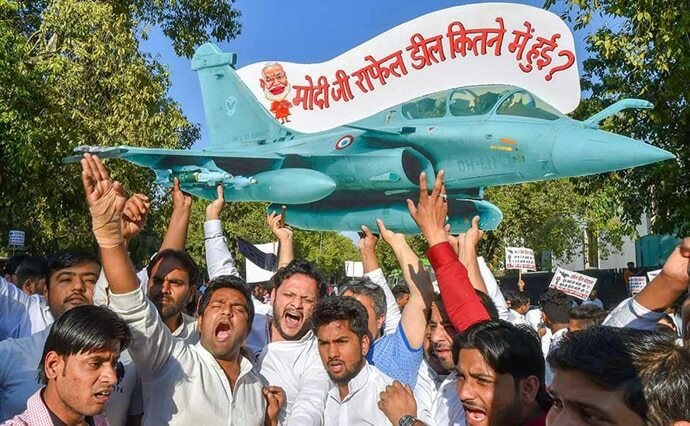 The dithering by the UPA government over the Rafale contract, between 2007 and 2012, leading to its abortion, till it was revived in 2015 by the NDA government, caused the depletion of the IAF’s strength from 42 squadrons in 2004 to 31 today. 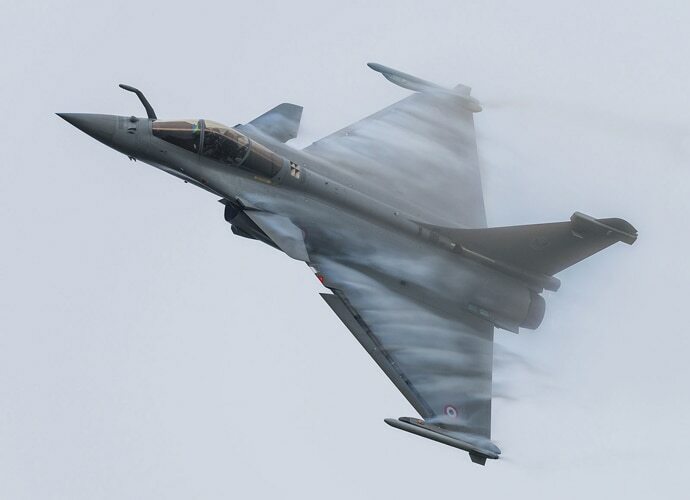 The twist in the tale, of course, is a clutch of alleged arms dealers, Sanjay Bhandari, Deepak Talwar, Rajeev Saxena and Christian Michel, pitching for the Eurofighter — Rafale’s main rival. Bhandari, who is reportedly close to Robert Vadra and Vadra’s aide Manoj Arora, has been absconding since 2016. He is charged under the Official Secrets Act (OSA). Vadra has meanwhile been interrogated by the Enforcement Directorate (ED) on his alleged links with Bhandari. Michel is in Tihar Jail and under interrogation in the AgustaWestland VVIP helicopter case — significantly, Agusta Westland’s parent company has an equity stake in the firm that makes the Eurofighter. Talwar and Saxena were extradited from the UAE for their role in facilitating bribes allegedly paid for defence deals. Again, as Rahul Gandhi knows, offset contracts worth around Rs 30,000 crore will be given (they have not been given yet and will not be till October 2019) to several dozen Indian contractors, big and small. Those in the running include Tata, Mahindra, L&T, Bharat Forge and a Dassault-Reliance joint venture. 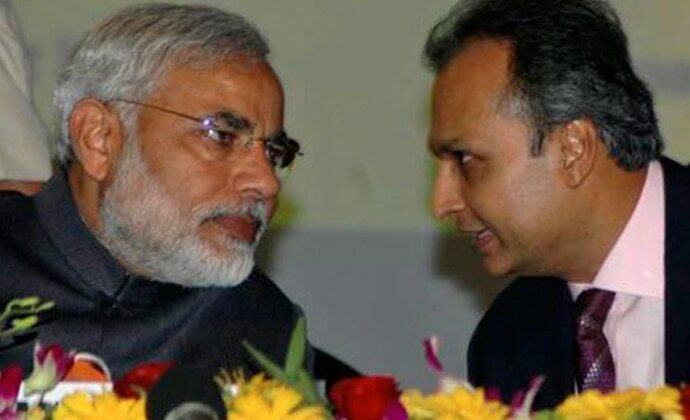 How much will Anil Ambani’s company get of the Rs 30,000 crore contracts? Probably, a fraction. By Dassault’s own admission, the Dassault-Reliance JV will receive Rs 850 crore in offset contract value to make spare parts for Dassault’s line of small Falcon business jets — not Rafales. Assuming a net profit margin of 10%, that works out to a profit of Rs 85 crore over several years to be shared between Dassault and Reliance. He adds menacingly: "Why did Anil Ambani’s 2017 Reliance balance sheet refer to Rs 30,000 crore as the figure the company was looking at in the Rafale deal?" Just as political manifestos are designed to please voters, company balance sheets are designed to please shareholders. In 2017, the offset contracts were theoretical and Reliance reportedly made unwise forward-looking statements in its balance sheet. To use that to attack him in light of the facts we know today — that offsets worth Rs 30,000 crore will be shared by nearly 100 Indian firms — is a wilful misrepresentation. But, says an angry Rahul, Anil’s company was just 10 days old when it got the offset contract from Dassault. That, of course, is untrue as Rahul knows — or should know. The company is in fact over 20 years old. In 2015, Reliance Defence acquired Gujarat Pipapav, a reputed defence equipment manufacturer established in 1997, which has been in the defence business for more than two decades. Parliament will debate the CAG report on Rafale in the week beginning February 11. With the Budget session concluding on February 13, the perception battle over Rafale will then shift to the public domain.